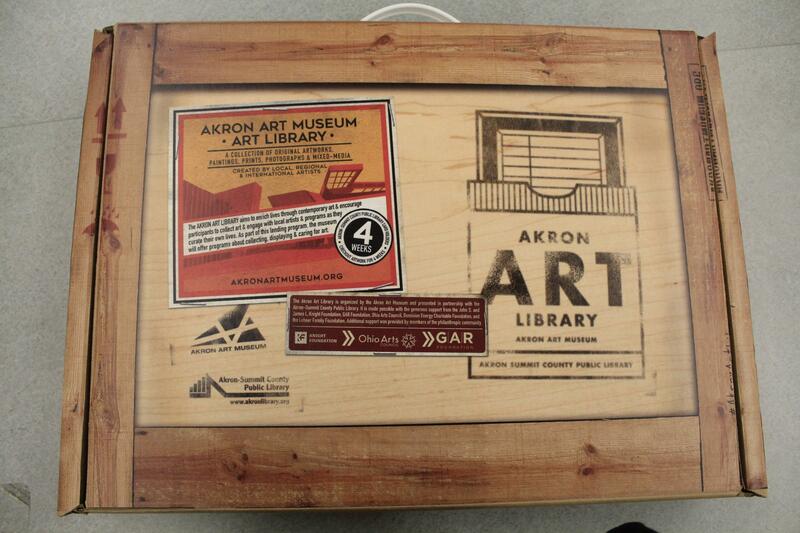 A piece by Cleveland artist Derek Hess from the Akron Art Library in its foam packaging. Stacks of packaged artwork ready to be checked out. Most libraries are set up pretty much the same. You peruse the shelves and if you find something you like, you can check it out and take it home. Simple and easy. 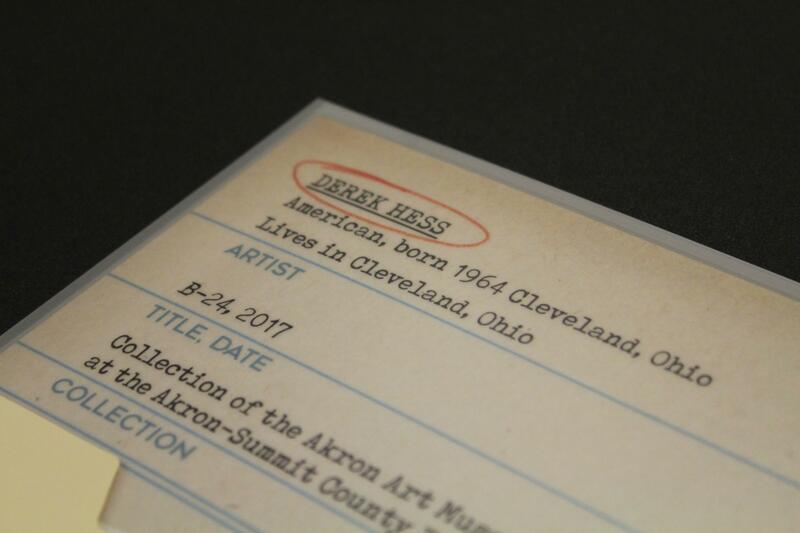 The Akron-Summit County Public Library is adding to its collection with a catalog of artwork to be borrowed just like the latest New York Times bestseller. "I’m really encouraged to see that this library is doing something so forward thinking. This is really outside the box, at least as far as anything I’ve seen," Akron resident Elizabeth Nielson said at the Akron-Summit County Main Library branch. The artwork comes in locally-designed protective cases. She's standing next to the Art Library display. It's full of oil paintings, screen prints, and collage pieces--all original works--in custom frames. "I didn’t expect them to be the real works. I didn’t expect them to be framed so well. They’re really lovely. They look like they should be over at the museum. And we get to check them out and put them on our walls," she said. If the artwork looks like it belongs across the street at the Akron Art Museum, it’s because it does. Each of these pieces was hand selected by the museum’s Director of Education Alison Caplan. 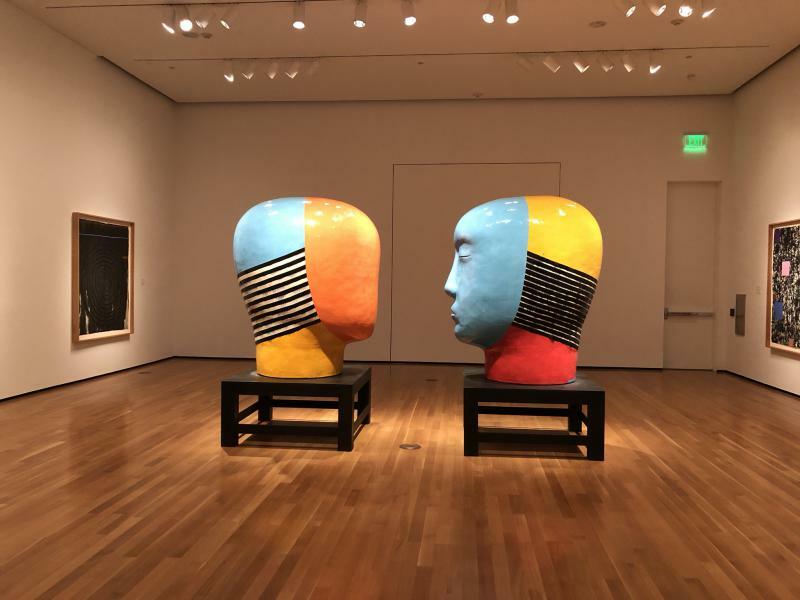 "Living with art is a totally different experience than seeing it at an art museum," Caplan said. "You can take it out of the box, put it on your wall. And I think that experience of an original artwork is so important." She wants art novices to have an easy way to see what it’s like to live with a piece of art, or for the seasoned collector to be able to try something new. 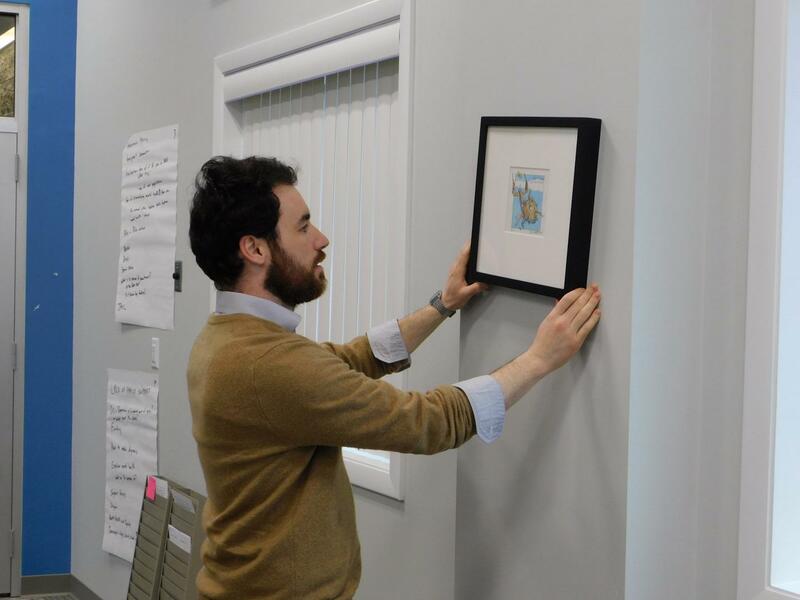 WKSU's Mark Arehart hangs a Derek Hess sketch checked out from the Akron Art Library in the WKSU newsroom. "You get to see it in the morning when you’re eating your Cheerios at breakfast. And you get to see it in the dark, in the daylight and experience it differently. So we really want people to have that." 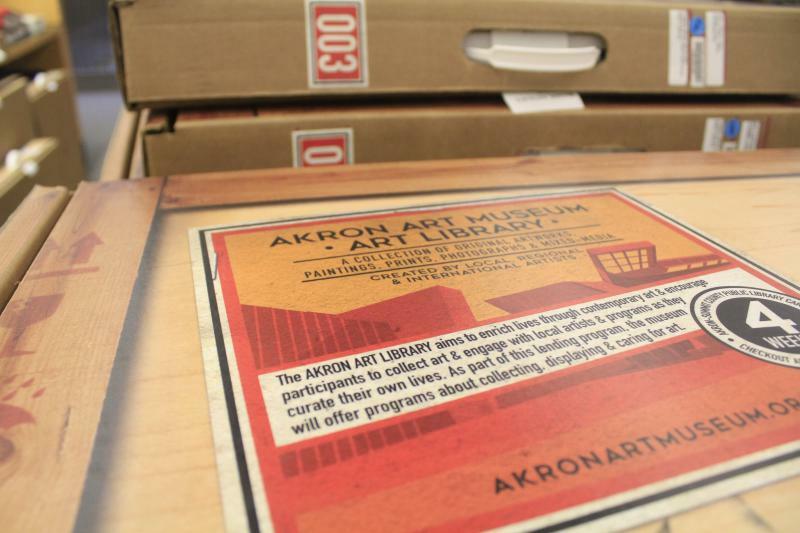 Caplan partnered with Robert Ethington, who runs the Public Library's Culture and Audio Visual Division, to make the Akron Art Library possible. "I think the coolest thing about this from my point of view is just to be bringing people into the main library to look at and perhaps check out some items that they couldn’t get anywhere else," Ethington said. In total, there are 27 pieces in the Art Library's collection. Micah Kraus is a local screen printer and high school art teacher who actually used a laser engraver at the Main Branch Library to create a piece in the collection. Each item comes with a description of the piece and the artist, as well as hanging instructions. He gave a demonstration at the library as a laser buzzed away behind him. The machine’s software takes an image Kraus has uploaded and burns away at dark ink covering a piece of paper. "And the engraver is going to etch away or engrave away whatever is black in the photograph." He said putting his work in the Akron Art Library was an easy decision. "I fell in love with the idea immediately. I just couldn’t believe that, wait a minute, you’re telling me that at my public library I can check out art and put it in my house?" 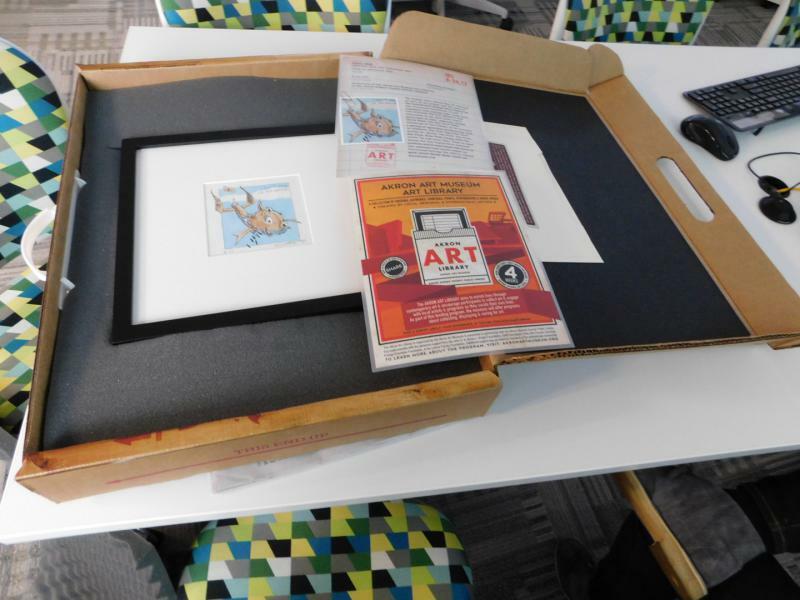 When it's checked out, each piece of artwork is packed in sturdy, foam-lined cardboard cases that resemble a suitcase. They come with hanging instructions and information about both the artist and the artwork. According to library officials, each piece can be borrowed for 28 days, with renewals available if there are no holds on the item. Note: This story has been updated to correct the spelling on Alison Caplan's last name. A new coloring book features public spaces in one Akron neighborhood. 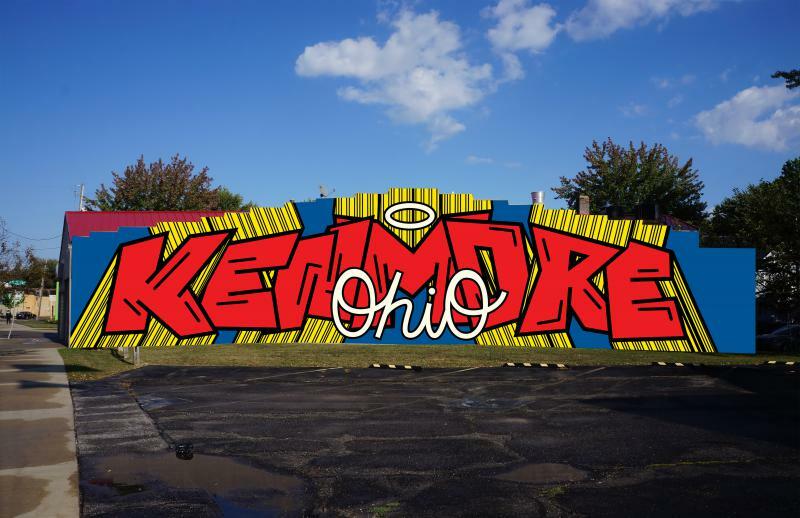 It’s a mural project called the Kenmore Imagineer and residents hope it will add a splash of color to Kenmore Boulevard. 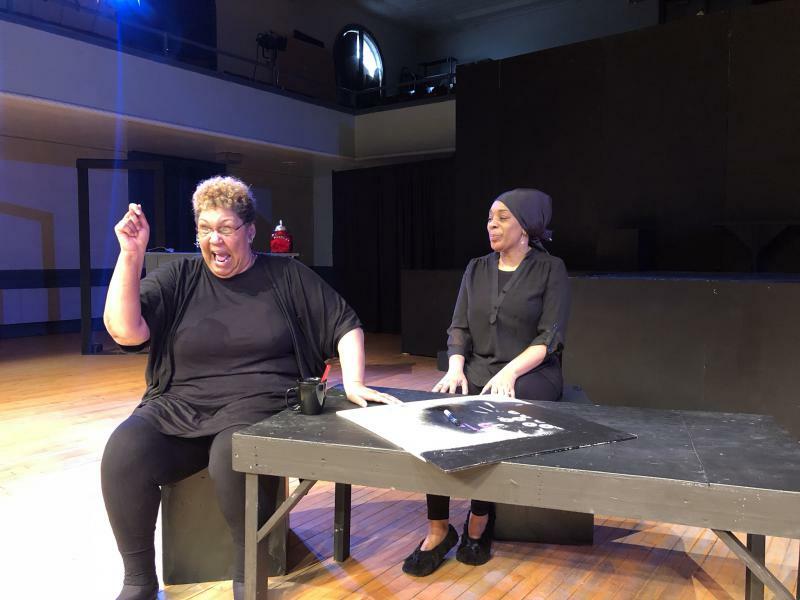 An Akron theater company is telling the story of a family that’s been torn apart by addiction and put back together after years of struggle, only to find itself on the brink once again. "Daybreak's Children" looks at the opioid crisis through one family’s front window. It’s been a century since acclaimed French sculptor Auguste Rodin died. 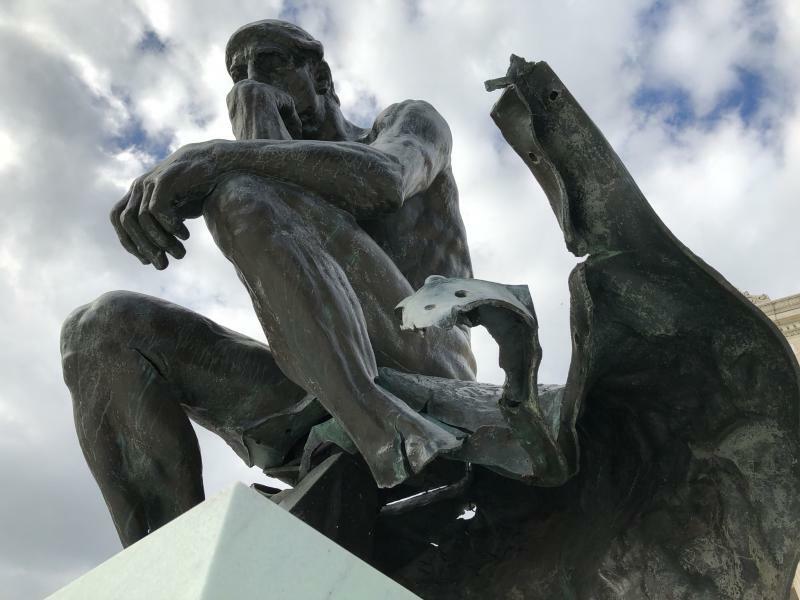 Museums around the world have a casting of his iconic work The Thinker, but the one at the Cleveland Museum of Art stands apart because of an act of violence that happened nearly 50 years after its creator's death.